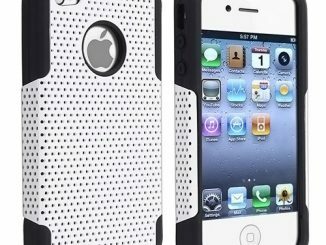 Apple’s smartphone, the iPhone, is one of the most advanced of its kind. As far as I know, few companies have come up with touchscreen devices that can rival that of Apple’s. 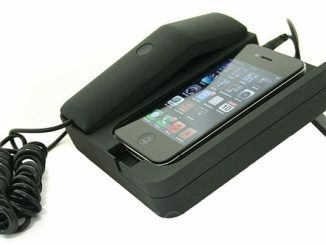 But if you’re into retro, then you might want to look into the iPhone Cordless Handset. 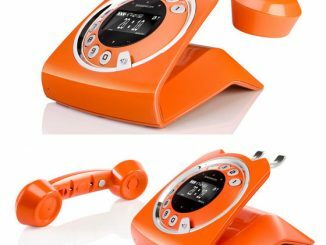 It’s pretty similar to the Scandiphone Retro Telephone and to the Sagemcom Sixty Cordless Telephone, only that this one isn’t as bold with its basic black color. 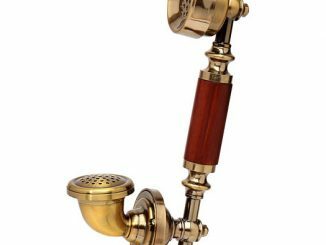 In fact, the iPhone Cordless Handset more or less resembles the phones that were in existence in the thirties and forties. 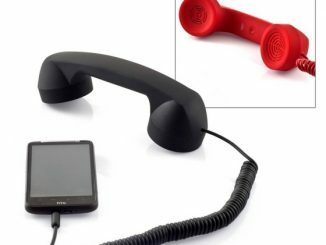 Despite its old-fashioned design, this handset comes with some pretty neat features too. 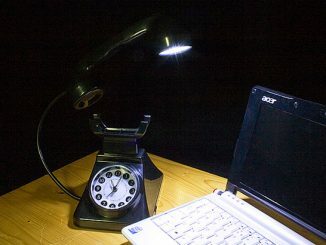 Aside from letting you make and take calls, it can also save around 50 phone number entries and list down the last 30 received calls from your phone. 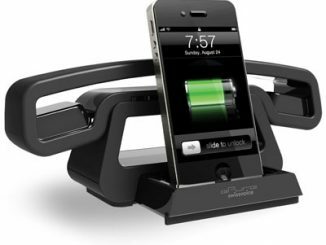 This is the stand that transforms an iPhone into a more comfortable cordless handset phone. 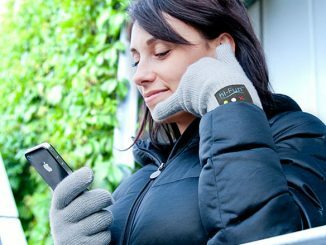 With the handset in one hand, your other hand is free to navigate an iPhone’s applications, such as calendars, e-mail, and the Internet. 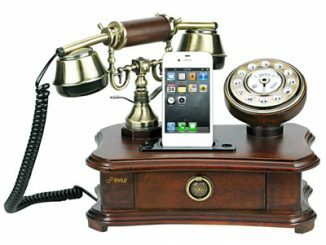 An iPhone rests on a telephone base reminiscent of models from the 1930s, synchronizing with the base via Bluetooth while the cordless handset communicates with an iPhone via DECT 6.0 wireless technology from up to 160′ indoors. 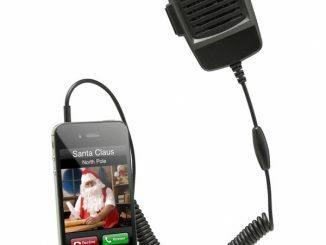 The handset places and receives calls, displaying each on its LCD while providing buttons for redial and speakerphone. 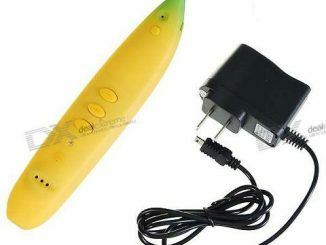 It can recall up to 30 received calls and record up to 50 phone numbers. 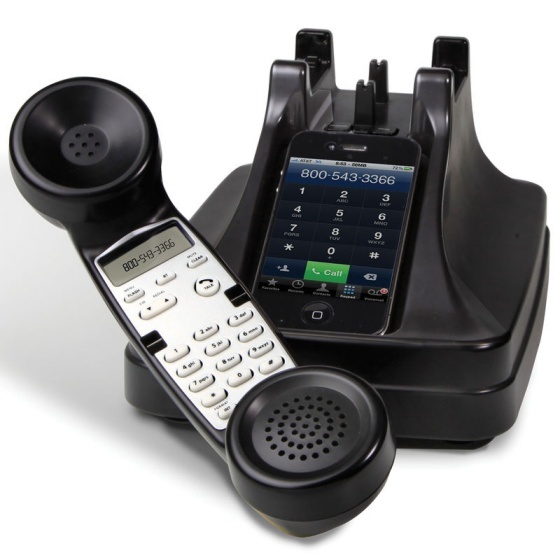 The iPhone Cordless Handset is available from Hammacher Schlemmer for $159.95. 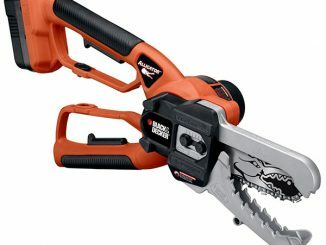 At first this seems to be another gimicky sort of present type thing but it actually fulfils a purpose. I do find holding my smartphone to my ear does get a bit uncomfortable after a while.